Visit Us at Handmade Arcade! 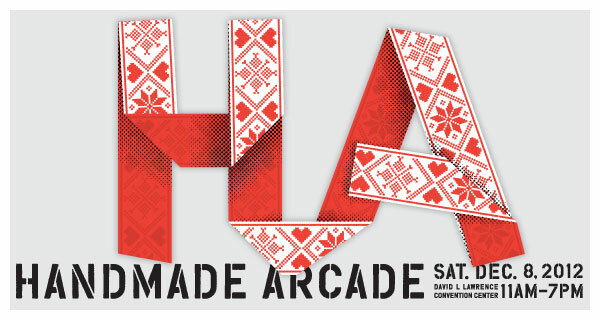 Handmade Arcade is Pittsburgh’s first and largest independent craft fair. It’s a great place for artists to sell their work and demonstrate how they make the things they make. From 3-5pm, Julie Sokolow, the producer of the Healthy Artists documentary series, will be teaming up with Jude Vachon, artist and crafter, founder of Be Well! Pittsburgh, and the librarian behind the Carnegie Library’s Zine Collection, to host a zine workshop around the topic of health care. Stop by and learn what a zine is, how to make one, and how to tell your health care story through art. Learn more about Handmade Arcade and our participation in the “Hands-On” section in a lovely new article from Pop City.